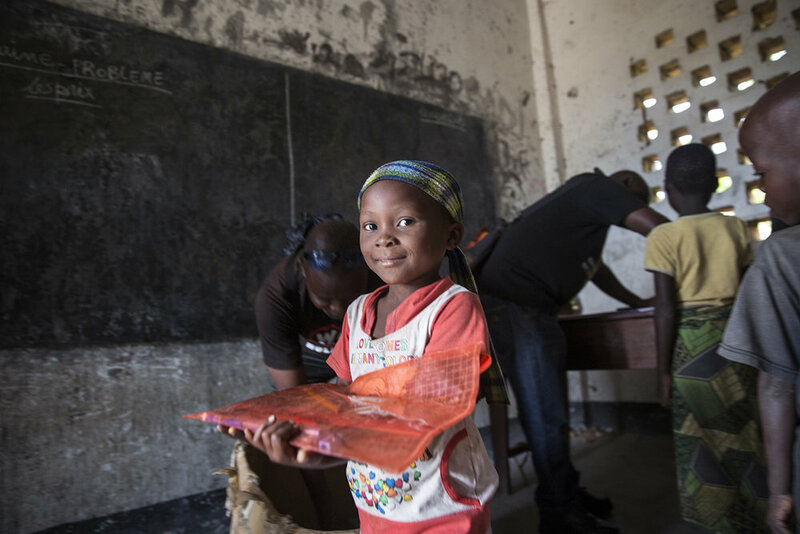 To meet the needs of children forced to flee Burundi, War Child set up an emergency response programme to provide direct support to children, young people and their caregivers living in refugee camps near the city of Uvira in DRC. The emergency programme ran until the end of 2015 in the Lusenda refugee camp. The intervention focused on putting child protection mechanisms in place within the wider community and providing Safe Spaces where children could access psychosocial support and have a place to play and participate in different sport and cultural activities. The programme also saw catch-up education activities organised for over 1,000 children who did not finish the school year in Burundi, helping them to prepare for integration into the Congolese education system. Due to the lack of classrooms within existing schools, War Child and its partners constructed eight emergency classrooms to accommodate refugee children. As 200,000 refugees fled from Burundi last year, 13 year old Elise was one of them – together with her mother and a sibling. After her father had been killed in an attack, it became too dangerous for them to stay in Burundi. 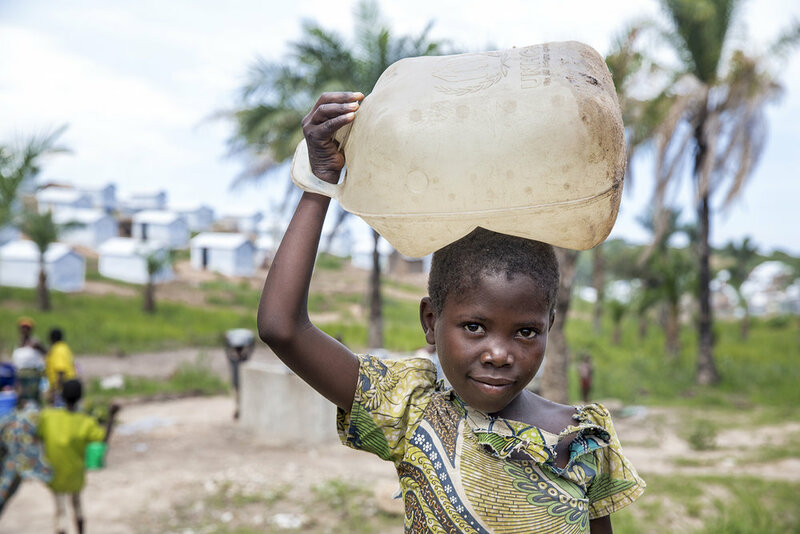 They fled to DR Congo, where Elise joined War Child’s emergency response programme in one of the refugee camps. She was thrilled to be able to go to school again and have the opportunity to play with other children. Several months later, the emergency response programme has proven to be extremely valuable to the children – but the refugee camps still struggle with problems on safety and sufficient provisions. “One day they were organising classes under a tree in the camp. But the Congolese authorities did not like this,” Elise tells. “When they refused to stop teaching, the police came to stop it with force. They started fighting and beating the teachers and the children. And they used weapons.” The expression on her face grows even more solemn. “This is bad, because we fled Burundi because of the war”. Elise is glad that she does get a chance to do the things she enjoys, especially because of incidents that happen on occasion. She lights up when she talks about going to school in the camp. “I really like it here in school. 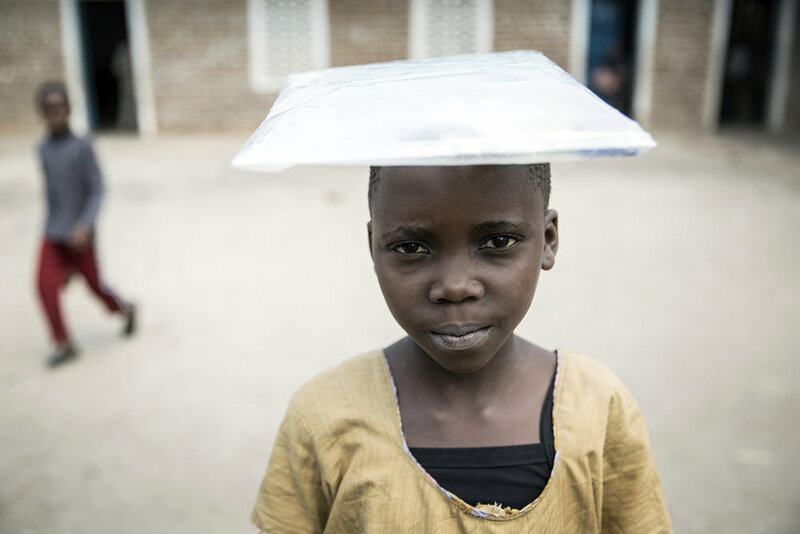 I am happy, but I also have problems because I don’t have notebooks and pens.” Many children in her class are also from Burundi, hailing from major cities as well as rural areas. As life in the camp has its challenges, her mother is relieved to have a safe place for Elise and her brother. But when they fled their country, they had to leave behind several relatives– and it’s hard to be separated from them. “My older sister lives in Burundi”, Elise tells. “A few weeks ago we heard that she and her three children are all okay. But I miss her very much. I want to see her.” Like the other refugees, she is eager to start a new life and build towards a better future. War Child’s educational activities play a big role in this. As we work to provide both educational and psychosocial support to rebuild the resilience of refugee children, kids like Elise will be able to start over again in a safer environment. 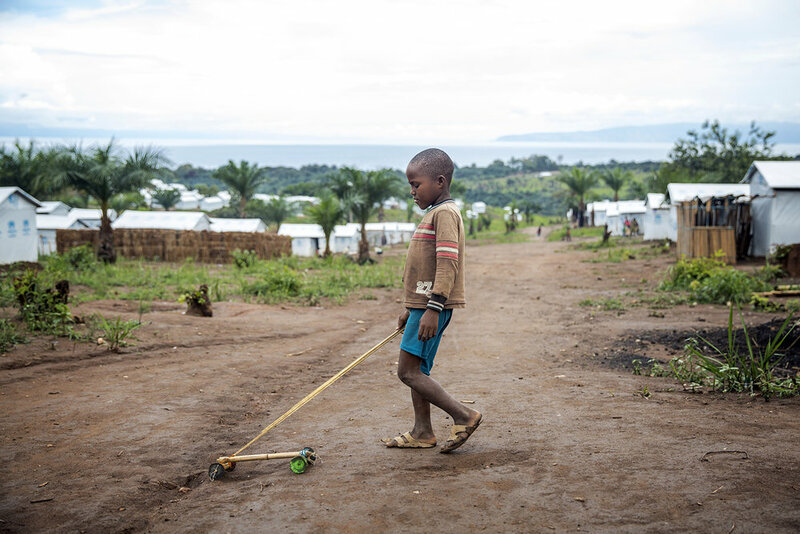 Eight-year-old Adrien was just one of the children forced to flee Burundi during 2015. He eventually arrived at the Lusenda refugee camp in DRC with his mother and some of his siblings. Adrien was separated from other family members during the fighting. “My father was killed,” he explains. These children participated in activities such as games, theatre and dance to express themselves. These creative activities provided them with an outlet where they could express their feelings and begin to process the violence they experienced. It also provides a space where children can just be children.